Don't let the Jr. fool you this intake is just as good as its big brother. 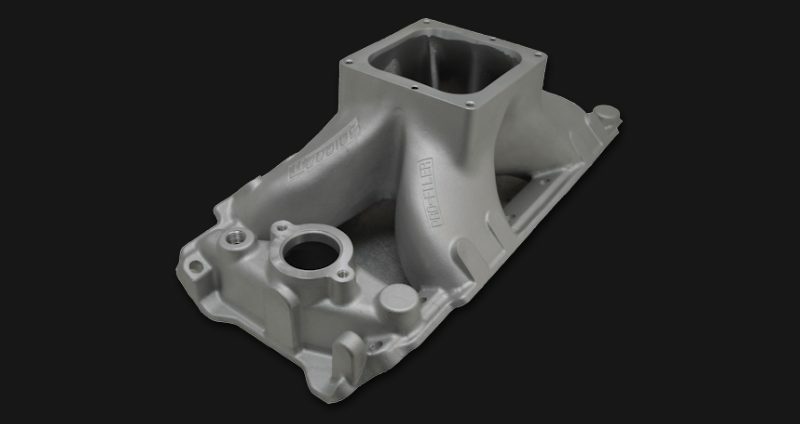 RPM range for the Sniper intake manifold is 4,000-8,500. The Pro-Filer SNIPER Jr. produces remarkable horsepower out-of-the box. With features such as cast injection bosses, 4500 series carburetor flange, four corner water bosses, and exclusive as-cast ported plenum and runners, the SNIPER is the best choice in BBC manifolds. 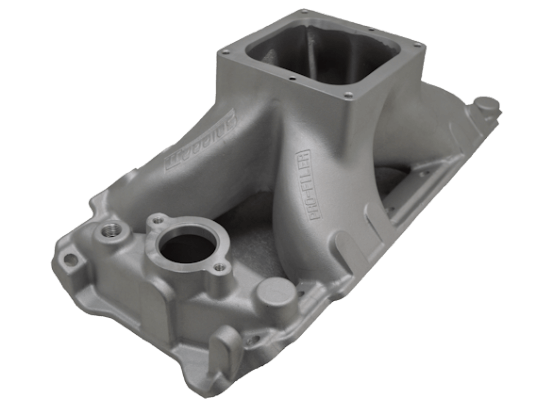 The Sniper Jr. Big Block Chevy intake manifold is available in 9.8 and 10.2 deck heights and with a variety of port configurations.